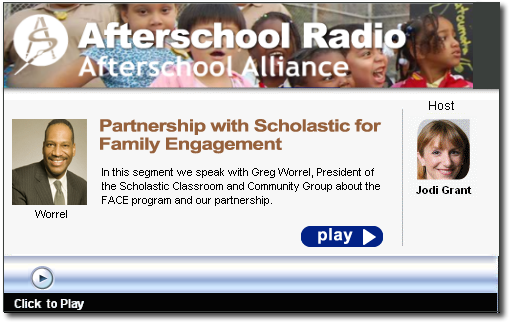 Afterschool Alliance and BAM Radio Network have partnered to bring you ASA Radio. Executive Director Jodi Grant hosts the program that will focus on the topics you really care about. Each brief segment of ASA Radio will help keep afterschool advocates abreast of the latest efforts to ensure that all children have access to affordable, quality afterschool programs. Click the "play" button below to listen now.